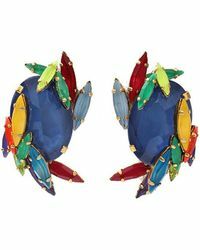 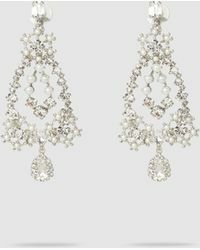 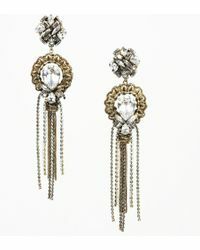 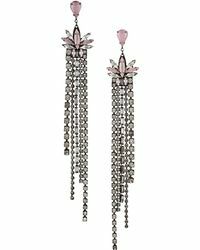 The first jewellery brand to create the chandelier earring, Detroit-born designers Karen & Eric Erickson founded Erickson Beamon in the early 80s. 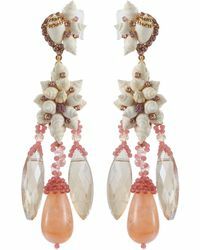 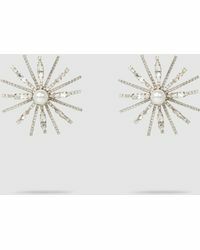 Full of embellishments and colour, Erickson Beamon collections are dramatic and intricate, blending classic Hollywood glamour with contemporary, industrial influences. 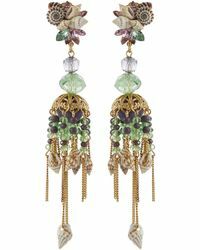 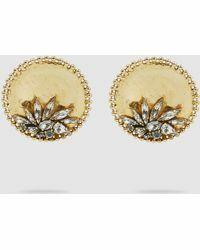 Using plated gold and semi-precious gemstones, Erickson Beamon earrings are handmade in the brand's Manhattan studios and are inspired by everything from architecture to nature.